With award season in full swing, it’s always a great honor when students and alumni of our own are recipients of these awards. Such was the case for BFA Filmmaking student, Alon Juwal, who won Best Foreign Film at the Williamsburg Film Festival in Brooklyn, and was an official selection at the Student Filmmaker Awards and the Viewster Online Film Festival. 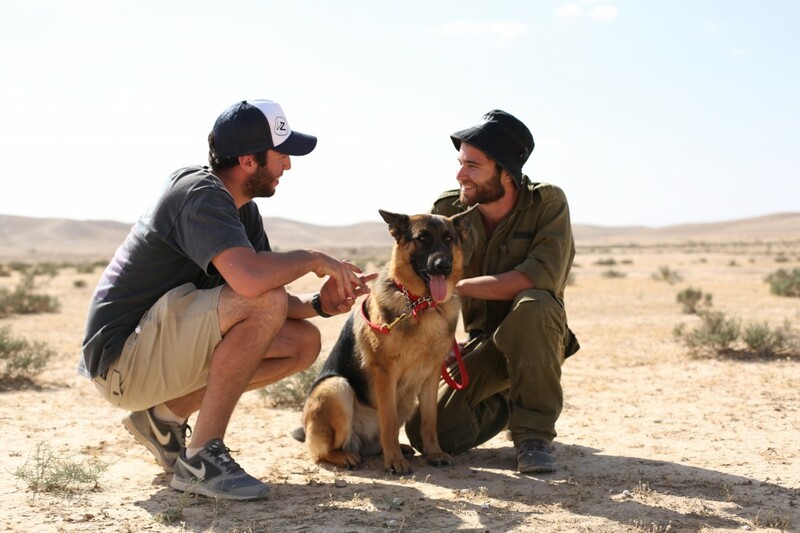 His award-winning film, Castor, tells the story of an Israeli Army Dog Handler who takes his dying dog for one last walk before he is put down. The idea stemmed from a news story on Israeli television, in which Castor’s handler narrated the events leading up to Castor’s death. It was a story of bond and sacrifice that Juwal felt must be told. Juwal decided to attend NYFA because of its access to cutting-edge equipment — like the RED camera — that he was unable to access back at home in Israel. One of the benefits about studying at the New York Film Academy is the student’s ability to be bi-coastal. Like many of our degree students, Juwal began his BFA in Filmmaking at NYFA’s New York campus for a year, and is currently finishing his degree with two years at our Los Angeles campus. In essence, he’s getting the best of both worlds. Juwal is currently focusing his work on music videos. This March, he will be shooting a music video for the folk band Yellow Red Sparks, who have are going on tour to entertain thousands of followers. Last night, NBC and Lorne Michaels managed to manifest the highest population density of celebrities, musicians and comedians into one studio. That studio was 8H, and it was for the 40th anniversary of the iconic sketch comedy show, Saturday Night Live. Fans had the opportunity to see old sketches reprised, such as Dan Aykroyd’s Bassamatic, Celebrity Jeopardy, Wayne’s World and countless others. The event included appearances by a star-studded list of celebrities and former hosts like Robert De Niro, Bill Murray, Chevy Chase, Eddie Murphy, Mike Myers, Adam Sandler, Tom Hanks, Alec Baldwin…the list goes on and on. To put it simply, it was like heaven on Earth for SNL fans. While being captivated by television history, we recognized some New York Film Academy friends and family. Former guest speaker, Molly Shannon, surprised fans with her socially awkward, Catholic school girl character, Mary Katherine Gallagher. Performing in front of some of the most well known and respected entertainers in the world, Mary became very nervous and began smelling her armpits…like this. Though, soon after, she proclaimed that she was still a Superstar! You may have also noticed another former guest speaker and Master Class Filmmaking Instructor James Signorelli. 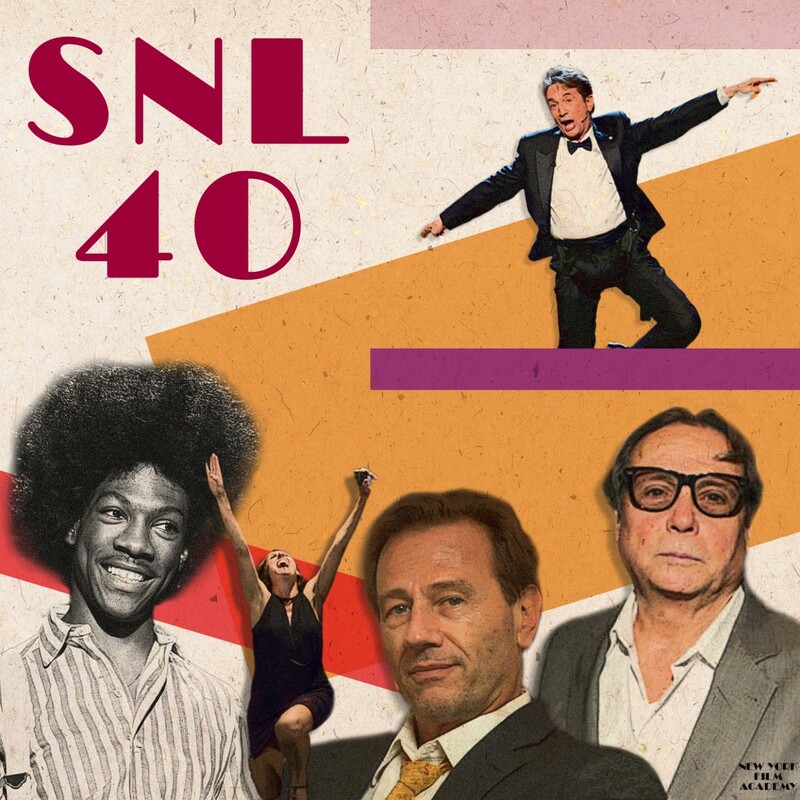 The SNL 40 show paid tribute to Signorelli by giving him his own unique SNL-style graphic during the broadcast. Signorelli has been a part of the show since 1976, having been the film segment producer for more than 400 episodes. He’s considered the king of ad parodies. If you’re thinking of a popular SNL commercial parody right now, James likely produced it. Looking back at many of the classic comedy sketches from the early 1980s, you may recall the famous “Synchronized Swimming” sketch with Harry Shearer and Martin Short, or the classic “Assassination of Buckwheat” with Eddie Murphy. What you may or may not know is Claude Kerven, the New York Film Academy in New York City’s Chair of Filmmaking, directed these short comedy films along with many others. The New York Film Academy is proud to have connections to the long-standing, ground-breaking show, SNL. Here’s to another 40 years!